Dr. Bender is a graduate of Georgetown University School of Medicine. He completed a pediatric residency at The Johns Hopkins Hospital and a hematology fellowship at the Children’s Hospital Philadelphia. 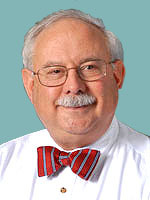 He is fellow of the American Academy of Pediatrics and a member of the American Medical Society.